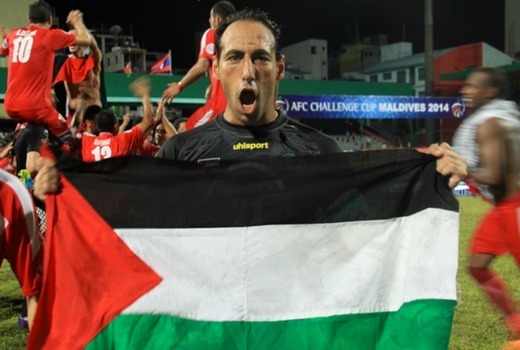 Tuesday proved to be a tough night for the ABC with low numbers for the return of Foreign Correspondent despite a well-made doco on a Palestinian football team scoring against the odds. On social media some Seven viewers were looking for answers on the absent How to Get Away with Murder, but Seven managed to lift its numbers with Gordon Ramsay. Just two titles cleared the magic million last night. Seven Network won the night with 32.9% then Nine 27.9%, TEN 19.4%, ABC 13.4% and SBS 6.5%. My Kitchen Rules was #1 with 1.42m viewers for Seven then Seven News (988,000 / 951,000), Home and Away (785,000), Ramsay’s Del Costa Nightmares began well on 719,000 and Million Dollar Minute was 425,000. Grey’s Anatomy was 231,000 / 162,000. Nine News was 1.02m / 957,000 for Nine then The Big Bang Theory (965,000 / 741,000 / 572,000), The Block (886,000), A Current Affair (819,000), Hot Seat (587,000) and 2 Broke Girls (342,000 / 234,000). The Project was 641,000 / 481,000 on TEN. TEN Eyewitness News was 579,000 then NCIS (575,000), Bondi Rescue (520,000), NCIS: LA (493,000) and Gold Coast Cops (423,000). ABC News (811,000) led ABC then 7:30 (592,000) but Foreign Correspondent struggled on 366,000, then Antiques Roadshow (365,000) and Would I Lie to You? (247,000). Royal Cousins at War (344,000), Insight (240,000), Dateline (175,000) SBS World News (152,000) made up the night for SBS ONE. Neighbours topped multichannels on 241,000. Tags: 2 Broke Girls, 7:30, A Current Affair, ABC News, Antiques Roadshow, Bondi Rescue, Dateline, Foreign Correspondent, Gold Coast Cops, Grey's Anatomy, Home and Away, Hot Seat, How to Get Away with Murder, Insight, Million Dollar Minute, My Kitchen Rules, NCIS, NCIS: LA, Neighbours, Nine News, Ramsay's Del Costa Nightmares, Royal Cousins at War, SBS World News, Seven Network, Seven News, TEN Eyewitness News, The Big Bang Theory, The Block, The Project, Would I Lie To You? Am I the only one who noticed the strange editing on mkr last night. They were about to taste second dessert and cut to ad break. When returned straight into scoring. Weird they have never done this before. Was it intentional, it felt like a segment was missed. I thought it was strange at first, but after seeing what a disaster Kat & Andre’s dessert turned out to be it made sense as the scoring looked pretty even with the entrées and mains. If viewers had seen the inside of their dessert before the ad break I’d say a lot of them would have switched over. Home and Aways numbers are really dropping, the show is in dire need of an overhaul, so many of the characters at the moment are so bland and un interesting, but with the way the ridiculous production is with it being filmed some 6-8 months in advance I expect it will be along time before we see any improvement on screen…..
HTGAWM was totally the wrong fit for Seven’s blue rinse brigade audience… combined with poor (for them) ratings and there’s no way it could stay.